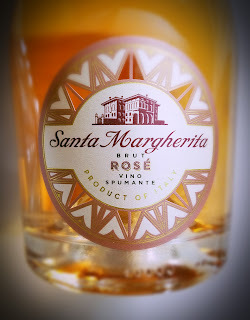 From the hillsides around Marsala comes a wine that makes me think of a California Pinot Noir, only, you know, Italian. 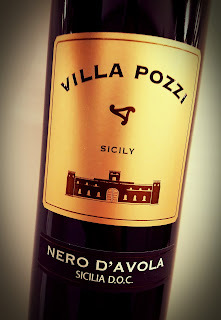 The Villa Pozzi Nero d'Avola is sold under a corporate umbrella - Deutsch Family - but made by a guy with wine for blood. Wine goes back a ways in Sicily, about 1500 years. Wine also runs in the Pozzi family. Owner and winemaker Daniele Pozzi runs it back to his great-grandfather Angelo, and his grandfather Fausto, and his dad Val. Nero d'Avola is a grape variety that’s indigenous to Siciliy. It's known as "the king of Sicilian grapes," in fact. Pozzi hails the 2016 vintage as a great one, with near-perfect growing conditions that produced what he calls his best-ever Nero d'Avola. The deep color in this wine comes after a full 15 days of contact with the skins. The rich flavor is all thanks to the Nero d'Avola grapes - the wine is finished in stainless steel, not oak, so the fruit is given full expression. The wine hits a reasonable 13% abv and, incredibly, sells online for under ten bucks. This wine is dark in color and smells of black fruit, earth and tar. There's a tartness on the palate that is more reminiscent of Pinot Noir, but with the weight of Syrah. Blackberries, plums and pepper are in the forefront, with the tart darkness lingering after the sip. The tannins are easy-going. The vines for the Fields Family Old Vine Zin are from the 1920s and '40s eras, and are overseen by the Leon Perlegos family in the Stampede Vineyard, Clements Hills AVA. 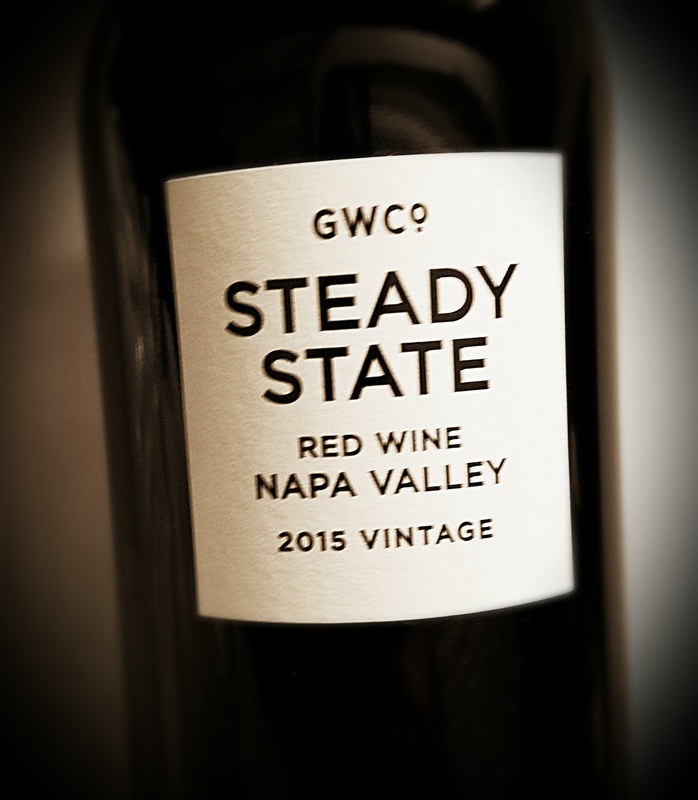 Winemaker Ryan Sherman says, "We don't shoot for any specific percent level, it is what it is from year-to-year. 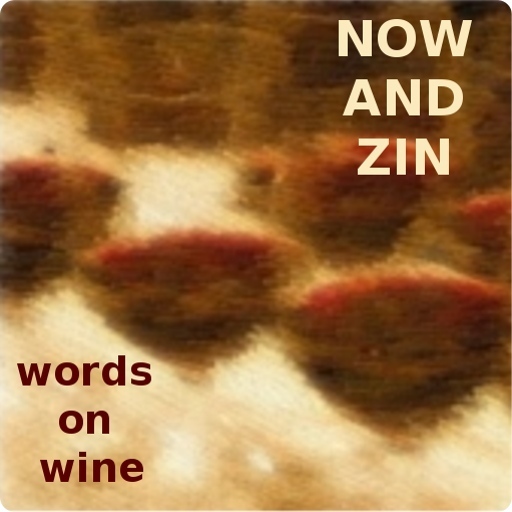 Welcome to the prettier side of Zin." 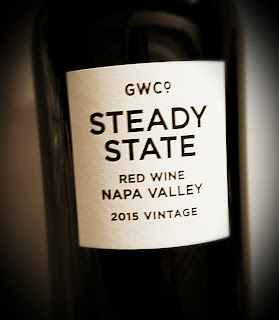 The wine was aged in neutral oak barrels, unfined and unfiltered, and went through native fermentation under the Lodi protocol. Only 100 cases were made at 14.3% abv and it sells for $28, a great price for a wine of this quality. The 2014 Fields Family Old Vine Zinfandel is a medium-dark wine with a nose that knocks me over. There’s black fruit, there's tar, there’s savory smoke and licorice. Quite complex. The medium mouthfeel carries a lovely acidity and firm tannins. Flavors of ripe cherry and raspberry jump out in a fruit-forward expression that welcomes more savory notes of leather and cigars later in the sip. It might be a little light for pairing with the heaviest beef, but I'd love it with a strip steak and fries. "It’s a good night for Port," my wife said. The brutal Southern California winter had its teeth in us, with the overnight low expected to drop UNDER 60 DEGREES. God help us, we have Port and will hopefully wake up tomorrow. "Port weather" really doesn't happen in Los Angeles, so you have to jump in there when you get the slightest chance. Charles Dickens let Ebeneezer Scrooge's nephew Fred describe Port to Bob Cratchit: "It's wine, Bob. A cheery, warming, goodly wine. A wine that'll race through your veins with little torches. It's port, Bob. The fifth essence of the Christmas spirit." Quinta de la Rosa has been in the Bergqvist family since 1906, but they were Port shippers well before that. The vineyards cover 55 hectares of the slopes above the Douro River, and winemaker Jorge Moreira works with grapes that have been foot trodden. 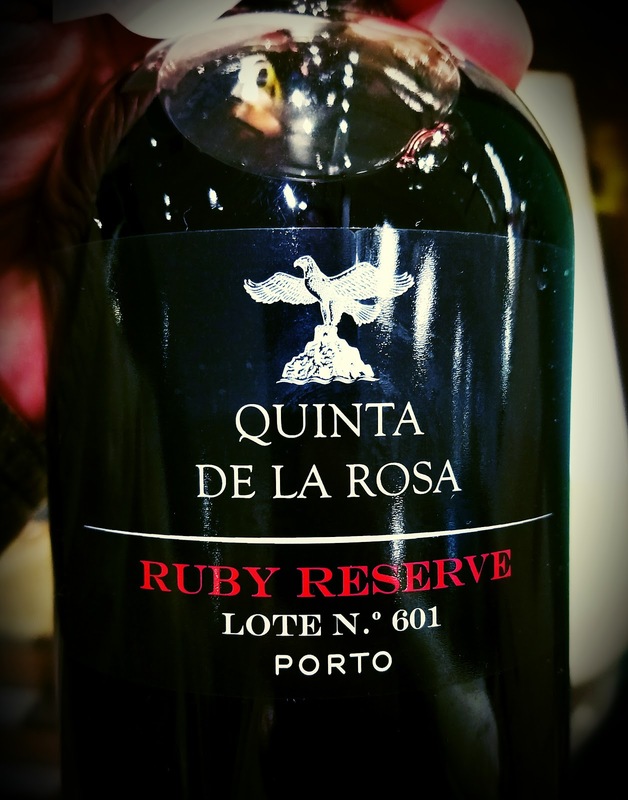 Of the many different styles of Port, ruby is the cheapest and most plentiful. After fermentation, it is stored in concrete or stainless steel tanks, and usually blended from different years to match the house style. Ruby is between two and five years old. The folks at La Rosa say their Ports "tend to be slightly drier than the norm and are made from A class grapes." The de la Rosa Ruby Reserve Lote No. 601 is dark ruby in color and smells of currant, laden with savory notes of leather and smoke. It's a complex nose for what it considered the least complex Port. Savory touches flourish on the palate, too. However, the fruit flavors are bold and forward, while the acidity rips and the tannins exert their will, with little torches. Georgós Zanganas founded Nu Greek Wines of Sonoma after moving to the U.S. and having trouble finding the Greek wines he left behind. He noticed that California wines gave him a headache, while his Greek faves never did. His solution is in this bottle. Zanangas imports bulk wine from Greece to Sonoma County, where a blend is put together at Deerfield Ranch Winery in Kenwood under the direction of winemaker Robert Rex. Zanangas says it's a pretty nifty trick to make wine this way. "It comes by boat in 1,000-liter and 24,000-liter bladders from Greece," he says. "Once the wine is harvested in Greece, we get it into a stable form (so it does not get spoiled during its 45-day voyage from the ancient port of Piraeus in Athens,) to Oakland and then by truck to the winery in Sonoma." The wine was named after the ancient Greek isle of Ithaka, ruled by Odysseus. Pretty brainy stuff, there, referencing Homer's "The Odyssey" and all. They say on the website that the grapes are hand-picked and triple hand sorted. Oak treatment is done in 35% new oak - 55% from France, 20% from Hungary and 25% from Pennsylvania forests. Alcohol checks in at 13.5% abv and it sells for $31. The "Greek-style Cab" is made with Cabernet Sauvignon grapes from both Sonoma County and Greece. This wine is quite dark both in view and on the nose. That nose, oh boy. It's much more rustic than Cabs usually are, with deep roots in tar, leather, earth and smoke. Truly incredible. 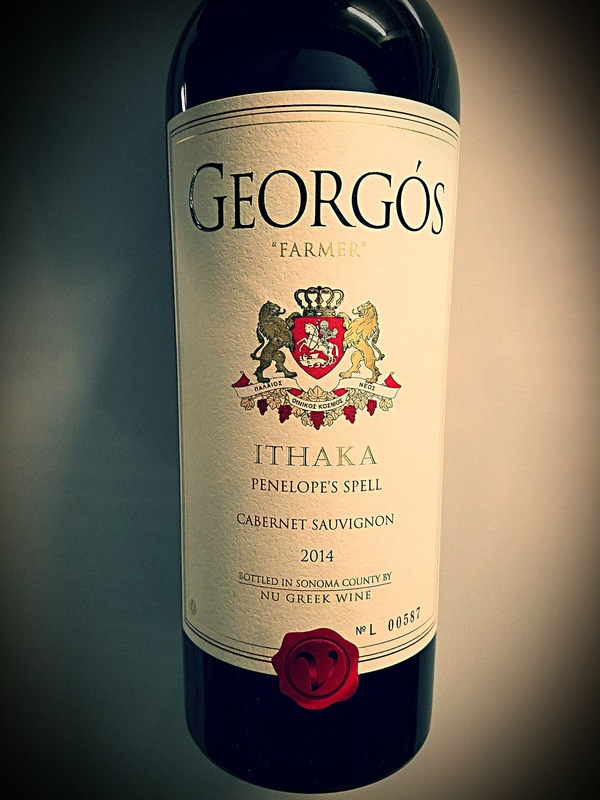 The palate shows rustic notes, too, and is likely the Greek grapes making themselves heard. Deep, dark fruit reminds me of a Sangiovese crossed with a Cab. The acidity is youthful, while the tannins are smooth. Pair it with lamb and be happy. 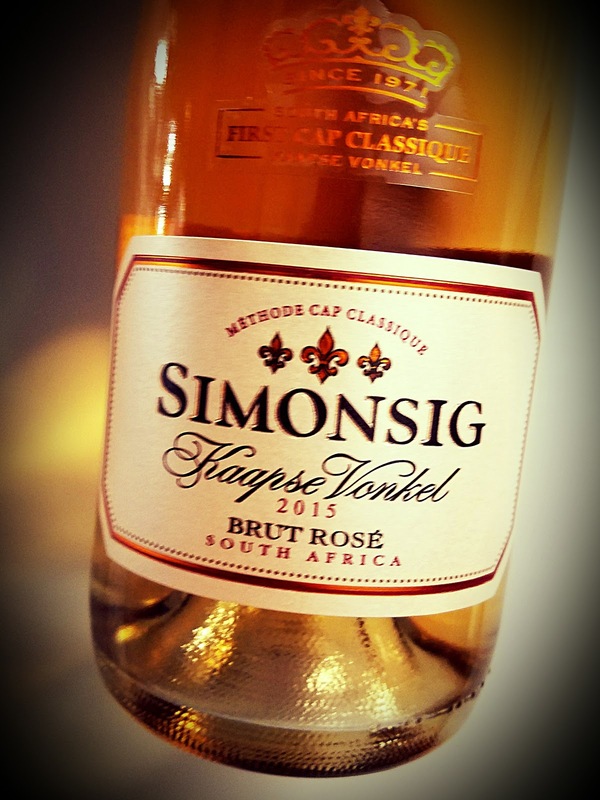 Since the 1960s, Simonsig has been producing wine from South Africa's Stellenbosch region. This one, Kaapse Vonkel Brut Rosé, was intended for sampling by Valentine's Day. Well, bubbles are still a good idea no matter what time of year it is. Bubbles every day for the rest of 2018! Go for it. This South African bubbly hits the Pinot trifecta: 63% Pinot Noir, 35% Pinotage and 2% Pinot Meunier. Pinotage is South Africa's leading red wine grape. According to Wikipedia, it was bred there in 1925 by by Abraham Izak Perold. It's a cross between Pinot Noir and Cinsaut, which was known as "Hermitage" in South Africa back then. The sparkler is made in the méthode cap classique, which is basically how Champagne is made in France, with bottle fermentation. Winemaker Johan Malan says 2015 was a warm vintage in which the grapes were picked about two weeks ahead of schedule. Alcohol is a low 12.1% abv and it sells online for about $25. The wine bubbles up vigorously, but the festive nature disappears quickly. The nose is earthy, but fairly muted in that respect and in that of the red fruit. Palate-wise, the wine disappoints a bit. It does have a tasty, savory flavor and a nice shot of acidity, but I wanted a little more fruit expression. Maybe I should stop complaining and just enjoy what is a thoroughly drinkable, but slightly underwhelming bubbly. "Sorry about the girl." That's how the email started. Paringa Wines' David Hickinbotham wrote me over the weekend after my article about his Sparkling Shiraz appeared on Now And Zin Friday. I had mentioned how Australian Rules Football had turned a momentary attraction into disappointment. He apparently understood how someone could have such a strong interest in the sport. The girl is mostly forgotten, but I still like Australian Rules. And sparkling Shiraz. He explained that he has attended the Grand Final, the Australian Rules version of the Super Bowl, since 1971. He's also been growing grapes that long, and making wine for export since 1999. Hickinbotham is understandably proud of his Paringa and 3 Rings Barossa labels, with both having stirred positive comment from reviewers, including me. He told me that he started Paringa at about the same time another winery, in Victoria, came up with the idea. Both used a local landmark of the same name as their naming beacon, a town in his case and a road in the other's. Hickinbotham told me that his family's connection with Australian Rules Football is his great grandfather Dave Hickinbotham, pictured from the Australian Football website, who played for Geelong. That team has won nine Grand Finals since 1925, and his father, Alan, played a handful of games with them. Alan was a successful businessman, a less successful politician and a well-remembered AFL player and, later, coach. South Adelaide renamed their home field, Hickinbotham Oval, after him. David has informed me that I should schedule a trip to Australia during the season, and he promises to take me to a game. I hope it's at Hickinbotham Oval, and I hope we can bring in his sparkling Shiraz to the game. The Paringa website declares that the Hickinbotham family has been in the Australian wine biz for some eight decades. The current generations are David and Dena Hickinbotham and their son, Alan. The founder, Alan Robb Hickinbotham, is reportedly considered to be the father of professional winemaking education down under, for his work with Roseworthy Agricultural College in South Australia. David Hickinbotham loves Australian Rules Football. That makes him okay in my book. I don't understand the rules, which are apparently a big part of the sport, but I love to watch the games, especially the officiating. Those guys in the white smocks declare scores and infractions with such gusto. Long ago, I was attracted to a woman from Australia and I asked her out to dinner. At the restaurant, she revealed that her brother was an ARF referee. For the rest of the evening, that's all I could talk about. She finally said, "Look, why don't I give you HIS number?" She never went out with me again. She didn’t give me her brother's number, either. But I still like Australian wines, especially really good ones. My love of Australian sparkling Shiraz is similar. I am fascinated by it. It's dark ruby, but it has bubbles. At its best, it is a very complex wine that really sneaks up on the sipper. For a winery that delivers value wines of quality, it's a great choice. Alcohol is a reasonable 12.5% abv and the wine sells online for well below the $20 mark. 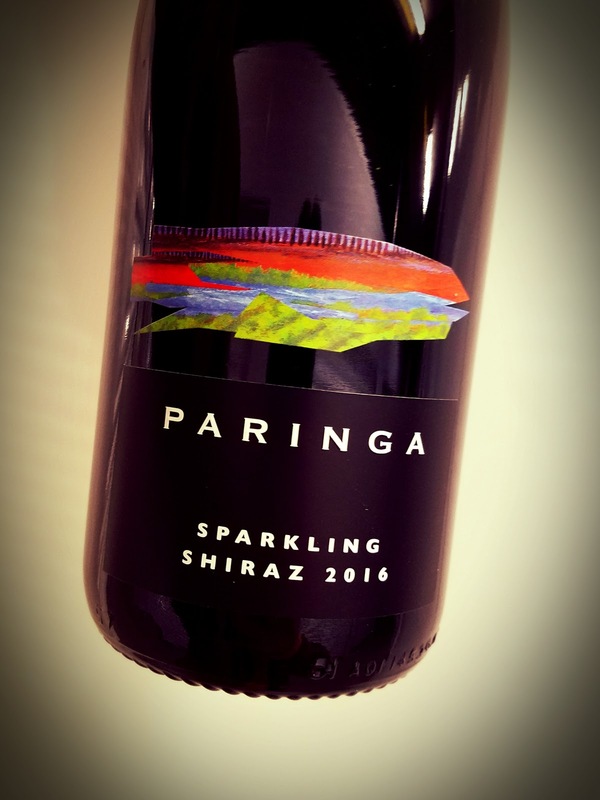 The Paringa Sparkling Shiraz 2016 is a dark wine with a big, grapey nose and a blast of leather and meat coming right behind. It's an interesting combo, such a simple beginning that turns complex on a dime. 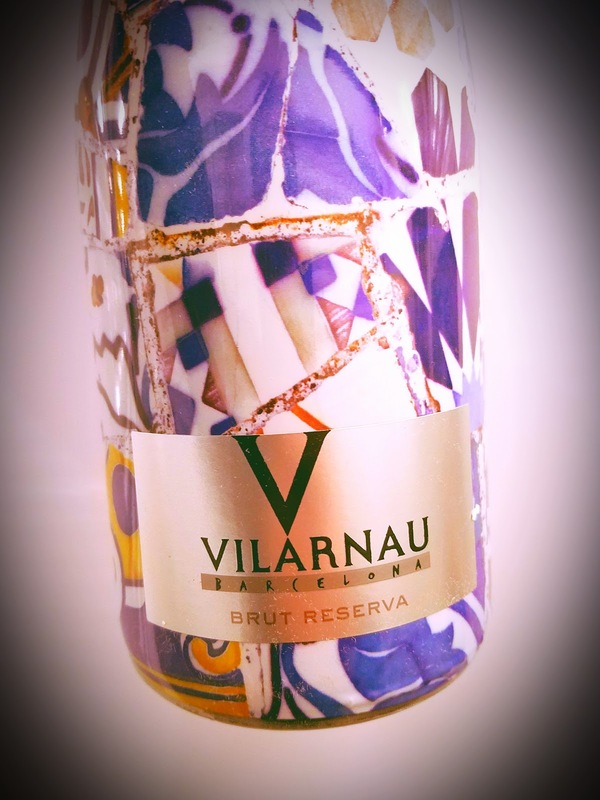 The palate is just as brash, with subdued bubbles, keen acidity and a dark, fruity taste. Think Lambrusco, but bigger. The earth profile hits late and stays on the finish. It's fun, but it's serious, too.